Recognized as one of “America’s Top 100 Courses Priced Under $100” in 2002 by Travel and Leisure magazine, our semi-private Jack Nicklaus-designed golf course here at Golden Bear Golf Club Hilton Head has quickly earned a name for itself as a top choice on an island full of world-class golf courses. Featuring a renowned, top-rated layout, the visually stunning course offers ever-preset water and sand to keep play interesting, but never penalizing. 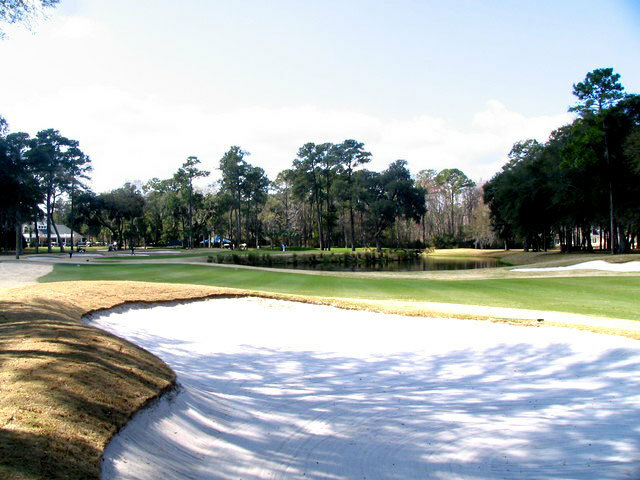 Winding through a beautiful landscape of oak and pine woodlands, the Golden Bear golf course is a fitting complement to the prestigious Hilton Head residential community of Indigo Run. Golfers playing Golden Bear at Indigo Run will find that each unique hole on the course puts a premium on strategy and finesse, rather than sheer power, making it the ideal place for players of all skill levels to perfect and fine-tune their game.